At Term Life Insurance for Males, we offer the lowest term life insurance for smokers rates from over 100 highly rated life insurance companies. Using our quote form on the right, you can quickly compare smoker rates and find that we have the best prices anywhere. This is because while most online term quote companies offer pricing from 20 to 30 companies, we quote from over 100. In fact, if you find a smoker rate at another company that appears to beat us, please leave a comment with the company name, and we’ll be sure to add that company to our quote form, as we are committed to offering the best life insurance for smokers. If you’ve done any research on the effect smoking cigarettes has on life insurance premiums, you know that smoking increases your premium by about double or more. Please find sample quotes for male smokers below, who can qualify for “preferred tobacco” rates below. Quotes are for 20 year term life insurance and based on Monthly Premiums. *Note that the premiums quoted above are valid as of 9/2/2011, and are subject to change. Wonderful news for pipe smokers, cigar smokers, and chewing tobacco users. You can actually qualify for Non Tobacco rates with many life insurance companies. In most cases, you’ll need to test negative for nicotine in your labwork and admit to the tobacco use on your application. In the case of life insurance for cigar smokers, you’ll also be limited in the number of cigars you’re allowed to enjoy, like no more than 1 per month, or 1 per week. However, I know of one company who sets no limit to the amount you use these forms of tobacco, and your urine result can also come back positive for nicotine, and they’ll still allow you to qualify for non tobacco rates! Call us for “Non Tobacco term life insurance for smokers” quotes at 877-996-9383. Some of our smoking clients tell us they want to quit smoking, in order to qualify for non tobacco rates, but the problem is they need coverage now. Since all U.S. life insurance companies require that you quit smoking for a full year before you can get non smoker ratings, we recommend you take out a policy to cover your needs now, and then if you can quit for 12 consecutive months, you can either apply for a new policy, or apply for a health class reconsideration with your existing insurance company. This way you only have to pay the higher smoker rates for one year. 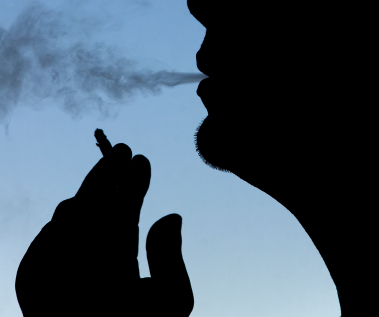 You are not limited in the types of policies you may choose from due to tobacco use. For example, you can still purchase a 10 year term policy or guaranteed 20 year term life insurance contract. The difference is your cost of term life insurance will be higher due to your smoker classification. Other types of policies available to smokers are 30 year level term insurance, which keeps your premiums level for the entire 30 year term period, and the two most popular types of permanent insurance, which are whole life insurance and universal life insurance. Also, beware of the compounding effect for medical issues. For example, some companies such as ING Reliastar may offer standard or better insurance rates for a diabetic. They also have great smoker rates. But if you combine the two… a smoker with diabetes may push the health classification down below Standard Tobacco rates, since the combination of the two is very harmful. Same goes for heart issues. How will the insurance company know I am a smoker? 2 ways. First of all, they ask you on the insurance application, and secondly, most applications require a brief physical, including labwork, which screens for nicotine. What if I lie on the application and say I don’t smoke? Please do not do this. It’s insurance fraud for one, and if you die within the two year contestability period and the insurance company finds out you were a smoker, the death claim could rightfully be denied. Can I quit smoking cigarettes until I can test negative for a urine test and then apply for insurance? Unfortunately, you must have quit for 12 consecutive months before you can apply for non tobacco ratings. Click here for general steps on how to purchase life insurance. This page covers the application process. The bottom line is if you smoke cigarettes, you will have to pay a higher premium for life insurance, at least for one year, but you don’t want to pay one cent more than you have to. Your best bet is to speak to a knowledgeable, independent agent about your health history and tobacco use to determine which company will offer you the best term life insurance for smokers policy. Smoker term life insurance quotes can vary so it is best to make sure you get the cheapest rate. Can I be Approved for Life Insurance after Cancer? Want to learn more about ING Life Insurance Company?